Retraite Des Dix Mille Tabula conspectum exhibens Regionum omnium quas Cyrus Junior . . . MDCCLXXX (shows Cyprus) - Barry Lawrence Ruderman Antique Maps Inc. 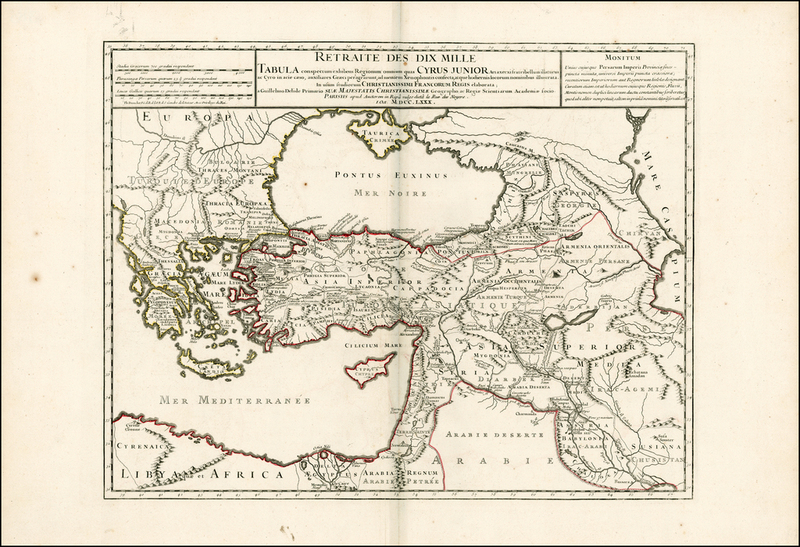 Detailed map of the region from Greece, Cyprus and the Eastern Mediterranean to Armenia and the Caspian Sea.